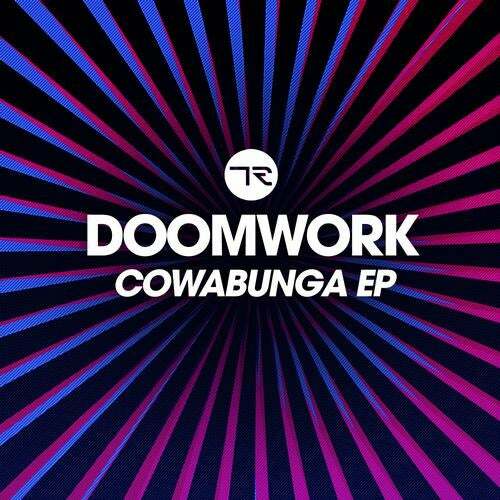 Doomwork, having notched up releases on 100%%Pure, Area Remote and Audiomatique in the past few years, have garnered a solid reputation for equally robust tech-house grooves. The Italian duo of Alex Catalani and Claudio Maura deliver Cowabunga for Christian Smith's Tronic in November and it's a weighty affair. Bearing many of the attractive facets of previous Doomwork material; infectious grooves, powerful arrangements and perfectly pitched production, Cowabunga has been a constant fixture in Christian Smiths sets in recent months. Lead cut Cowabunga evokes classic Peace Division with its fluid, undulating loops combining with dubbed vox samples and ascendant synths. Incessant and addictive its an out and out peak time cut of fine pedigree. Get Down on the flip is a little more laid back but maintains the power of Cowabunga. A slow, steady build towards a bass heavy groove littered with filtered vocals and outrageous builds makes for an undeniable dancefloor bomb.